1 Acre of land. This is Fort Bend Tax account 1150-00-002-4300-907. 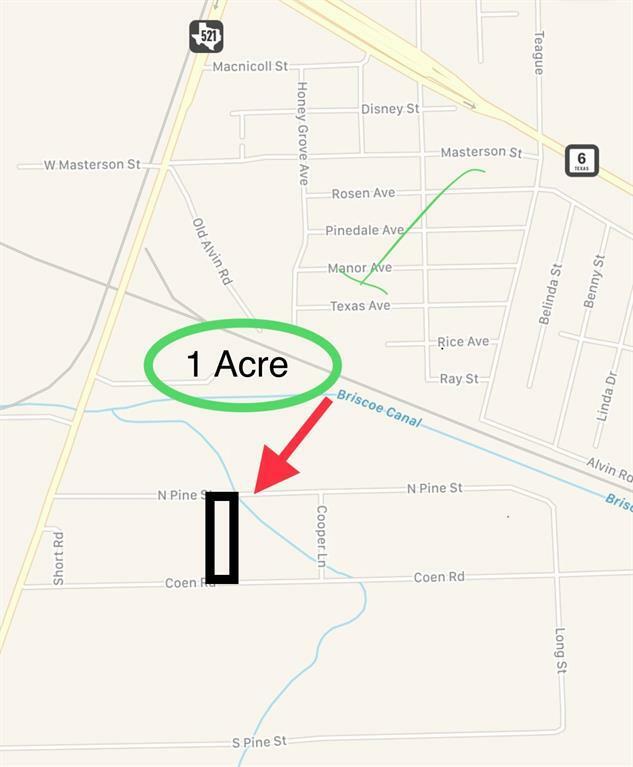 The property can be accessed from both N Pine Rd and Coen Rd. It is adjacent to the 1.5 Acres on 0 Coen Rd being sold on a separate listing. The owner might consider selling an additional 2 acres adjacent to the 1 acre being sold on this listing. Buyer to obtain survey. 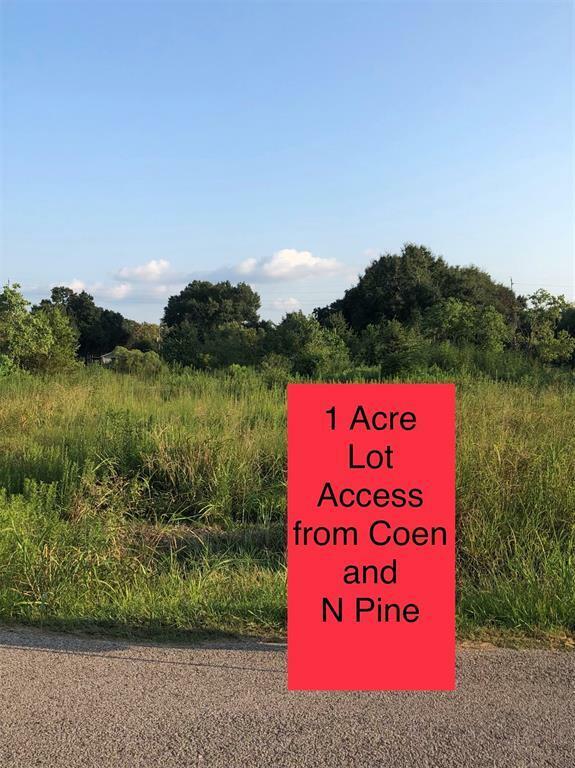 Buyer to verify lot dimensions/size and allowable lot use.